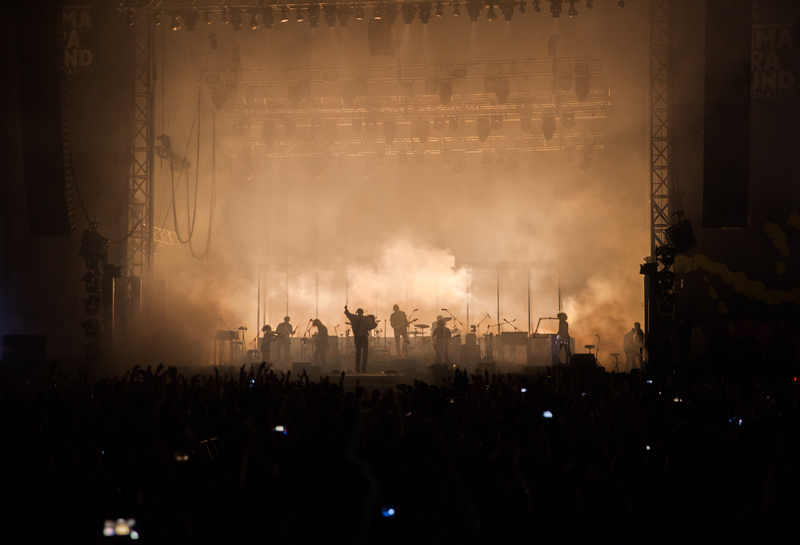 Arcade Fire and Moment Factory join forces this summer to take European audiences on a unique musical and visual experience. 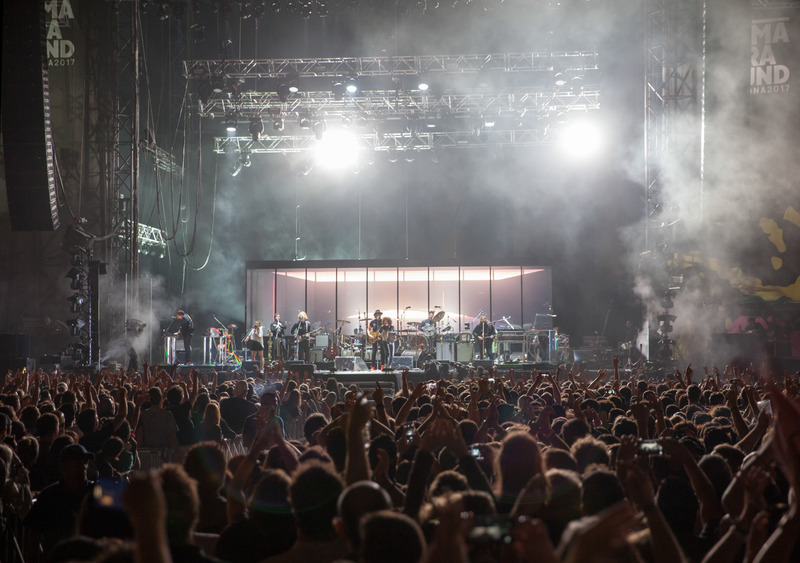 Arcade Fire kicked off their European festival tour in Barcelona, Spain on June 3rd, and fans have been experiencing the band’s powerful performances supported by Moment Factory’s diverse expertise in creating immersive experiences. 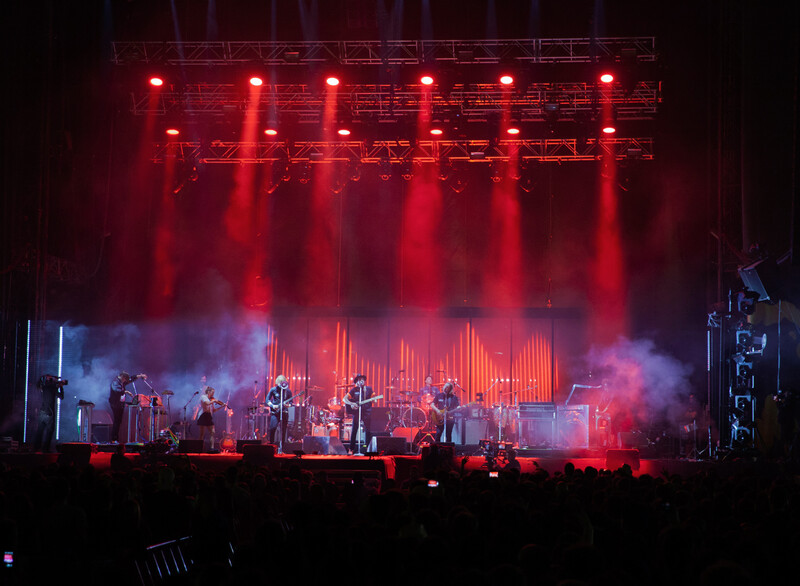 For Moment Factory’s third collaboration and first turn-key project with Arcade Fire, the multimedia entertainment studio is providing show design, creative directing and original video content. 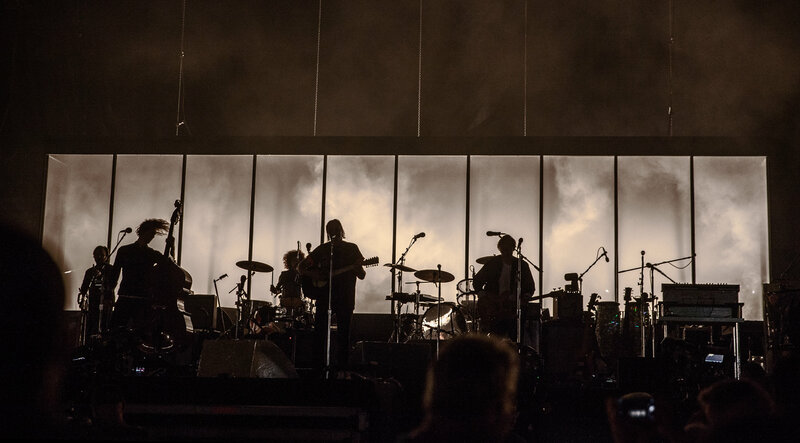 The two Montreal-bred artistic trailblazers previously worked together on the luminous beach ball stunt at the 2011 Coachella Festival as well as key moments of their 2013-14 Reflektor Tour. 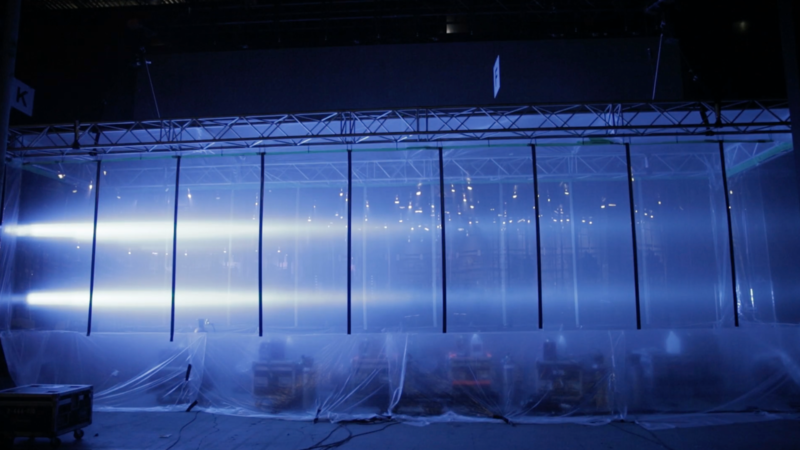 This time around, Moment Factory has designed a set that will augment the dimension on stage with unexpected multimedia effects orchestrated inside a “smoke box”. 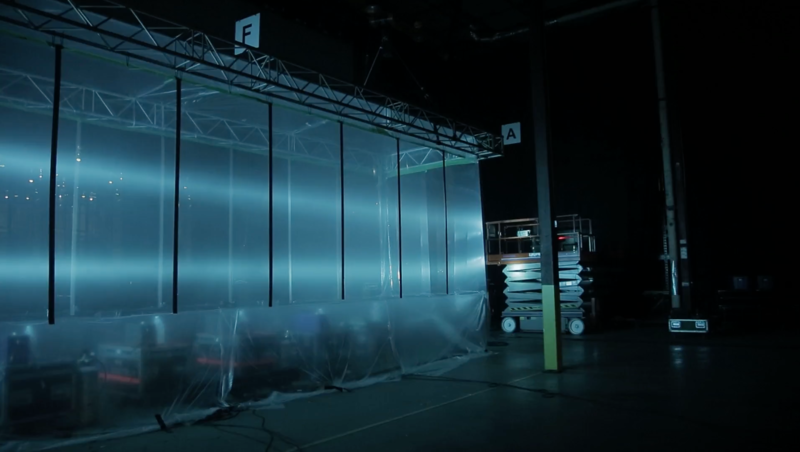 The 11 meters long and 3 meters tall “smoke box” will conjure life-size optical illusions and surprising scenes with an automated LED screen, lighting, lasers and pyro smoke effects. A mesmerizing combination blurring the line between this reality and another. This version of “Creature Comfort” clip produced by Moment Factory parodies VH1’s classic Pop-Up Video show.